Since the inception of PPM the major trend in PPM markets has been to cut clutter, reduce interruptions and by all means, keep the occasions of listening and the time spent with the station as high as possible. SO, when we as the station interrupt the music it better be for a good reason and it better be brief. The thing about this, which good PD’s will state, is that this is actually the way it should have been all along. Savvy PD’s had been maximizing their opportunities efficiently for years before PPM came along. 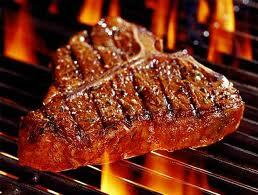 “Selling the Sizzle, not the Steak” was a phrase I heard my entire professional career which started in 2000. But it is more important than ever to do this because…NOW ITS SCIENCE. 1. 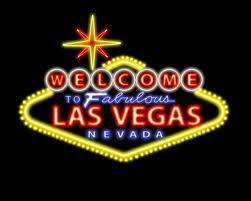 Repetition – If it’s a trip to Vegas, you don’t need to say so 4 times. Solution: If a trip to Vegas is what they want they will perk up the first time they hear Vegas. Say it Once. 2. Rules – Don’t give them the 3 different station phone numbers or tell them they have to be caller 37 OR that they may be placed on the air ORRRRR they may have to give up a limb! Solution: Just get them to the party. “Listen at 9:08 to win!” Rules will be sorted out when the contest is executed. 3. Sponsors – We LOVE sponsors, yes. BUT you do not need to give them a 30 word tag IN the promo. You should be selling name mentions but I realize in smaller markets they ain’t buying a name mention only. Solution: Limiting them to a 5-word tag is very reasonable. 4. Mechanics: If the prize is a trip to Vegas but actually they will be calling at 9:08 to qualify by winning a pair of tix to the fair then in the running for the grand prize you don’t need to say all this in the promo. Solution: “Win at 9:08!” Explain the process in execution and/or after you get them on the phone. Most people will not turn down something free if its a different free thing than they originally wanted. 5. Extras: I notice if its a trip to Vegas often the promo will also explain that you get airfare, hotel, 4 days, 3 nights and transportation plus tix to some lame magic show and a free 4 dollar buffet downtown at the 4 Queens. Solution: Its a TRIP TO VEGAS! They will assume most of the other stuff and again, none of this helps sell the prize or someone’s willingness to tune in and win. If they have any interest in Vegas, they will participate. Point is, think about what it really is you’re selling and sell that ONE thing, well. I still hear “Well its a huge event for us so a 60 second or 2 MINUTE promo is warranted. No its not. I have an exercise I will do right now as I am writing this. I just voiced a promo that was very long. GREAT station but it was a big contest for them and think they went overboard with the copy. SO, I am going to paste the original then quickly cut it down. GRADE ME! Perhaps (Read: Probably) you can do better! __Station Info___wants to send you and a guest to country music’s BIGGEST night: The 46th Annual CMA Awards LIVE in Nashville Thursday night November 1st. Along with hosts Brad Paisley and Carrie Underwood, you’ll be there in the house for performances by some of __Station Info___’s BIGGEST stars including Eric Church, Blake Shelton, Jason Aldean, Kenny Chesney, Miranda Lambert and many more. Listen to __Station Info___ for the CMA QUE2Call. When you hear it, be the 9th caller at 800-967-9983 to QUALIFY and pick up music from one of the hottest CMA performers. Once qualified, you enter a chance at the GRAND PRIZE: A Trip to Country Music’s BIGGEST NIGHT, the 46th Annual CMA Awards. YOU could be there courtesy of Average Joes Entertainment and __Station Info___. My Version: About 25 seconds.